Our Call for Proposals deadline has passed. Thank you to everyone who submitted a proposal. Submitters will be notified of acceptance status in December 2016. The Fifth World Congress will highlight the strongest and latest work in positive psychology research and practice from around the globe. We hope you will join us. 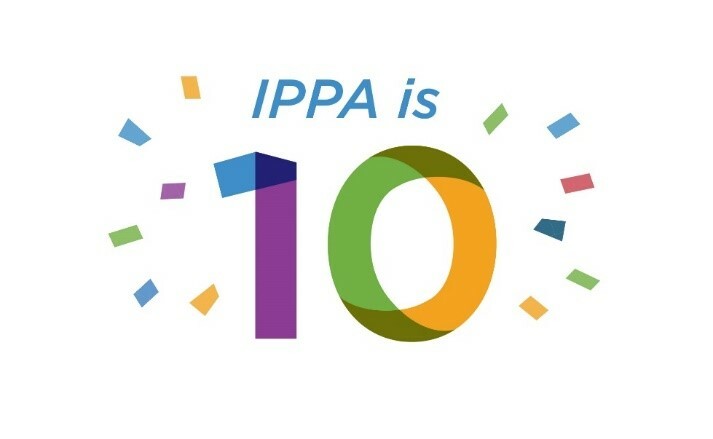 Proposals must be received by IPPA by 11:59 PM Eastern time on Friday, September 30th. All proposals are to be submitted via the official Congress online submission site. English is the official language of the 5th World Congress on Positive Psychology. Abstracts should be submitted in English to allow reviewers to focus on content. Non-English speaking submitters are encouraged to have their proposal reviewed for grammar and spelling prior to submission. Proposals will be reviewed and selected by the World Congress Program Committee. Each accepted presentation will be assigned a time and date on the conference schedule. The Program Committee reserves the right to accept proposals as podium, poster, or round table presentations if the preferred presentation type is not accepted. If your proposal is accepted for presentation, you will be notified by December 2016. This notice will be sent to the presenting author, who is asked to share the information with any additional authors/presenters. All presenters are required to register for the conference and to pay the applicable registration fee no later than May 15, 2017 to appear in the final program. Members of IPPA receive a registration fee discount. If the primary author is unable to attend the conference and has made arrangements for someone else to present the paper or poster, that person must register for the conference and pay the applicable registration fee. The full Congress program schedule and registration information (including registration rates) will be available in December 2016. Below you will find additional information about the proposal submission process, best practices for proposals, and other common questions. If we can help clarify anything else, please contact us. Click here for a detailed description of proposal types. Our electronic call for proposals platform can be found here or by clicking the submission button at the top of this page. All submissions must be received by 11:59PM EST September 30, 2016. Regardless of your IPPA membership status, all prospective presenters will need to create a free account to access the submission forms. This will help us organize the proposals and keep you informed of our progress during each step. Email will be sent from IPPA 2017, ippa2017@abstractserver.com, so please be sure we are on your approved sender list or check your spam folders if needed. For more detailed instructions for each category, please click the link above. In particular, if you plan to submit a proposal for an organized symposium, please note that one person on the proposed panel will be responsible for submitting an overview. Additional contributions to that symposium can then be added by each submitter. To reduce the risk of unintended formatting errors, we recommend writing and saving your proposal information in a word document before pasting it into the submission form. You will receive a confirmation email once your proposal has been received. Once the call for proposals has been closed, each submission will be assigned for review by either our Science Committee or our Practice Committee. Each of these committees comprises a team of volunteer reviewers who will evaluate the quality of each proposal and make recommendations for consideration for acceptance. Each submission will be evaluated independently by at least two reviewers before moving on to the Program Committee. In consultation with the Congress Chair, Barbara Fredrickson, the Program Committee will determine the number of available program times and select the mix of proposals that offers the most compelling new insights into the science or practice of positive psychology. Particular attention will be paid to opportunities to showcase outstanding work in a wide range of international locations. The intended timeframe for notification of programming decisions is December 2016. There are no restrictions on who can submit a proposal. All submitters are asked to provide a brief summary of work and education experience to provide the review committees with an understanding of their qualifications to present on their proposed topic. Yes, although each submission should have a unique point of emphasis. Please do not submit the same proposal to multiple categories; instead, think carefully about which session type best suits your proposed presentation. We also request that you indicate your preferred back-up session type (e.g,. Poster or Round Table Presentation). Can I edit my submission after it has been submitted? Once you create an account on our proposal management site, you can manage and make changes to your draft submissions until your submission is marked complete. Once submitted, edits are no longer possible. If you have any questions during this process, please contact us at congress@ippanetwork.org. When can I expect to hear about the status of my submission? Final decisions are expected in December 2016. The review committee will notify all candidates by email. Are registration fees waived for accepted presenters? No. In order to offer the diversity of programming we hope to offer while still keeping costs manageable, especially for students, we are not able to waive registration fees for accepted presenters. Once acceptance notifications have been sent, we kindly request all presenters register and pay the applicable fees for the World Congress by May 31st to confirm their placement in the final program. Will my proposal or presentation be published? Accepted proposals will be printed in the final program, which will be made publicly available online. Accepted presenters also will be asked if they would be willing to share their slides and/or a recording of their session (where available) with the IPPA Learning Library, our growing educational resource hub for information about positive psychology. Below are brief descriptions of the accepted proposal formats. Please carefully review the detailed guidelines before submission. A Conversation Hour is a 60 minute, informal session intended to stimulate discussion on a specific topic. No formal presentations or audio visual support. An Individual Podium Presentation is a 5-minute individual presentation of your work. Presentations will be grouped into themed 1-hour sessions. Sessions will be moderated and time limits enforced. Especially meritorious presentations will be recognized with Awards and presenters will be invited to give their talk a second time during a plenary session. A limited number of 5-Minute Podium Presentations will be reserved for Late-Breaking Science Presentations. To be considered for one of these sessions, please follow the submission instructions for a Podium Presentation, but instead of “Results” and “Conclusions” include “Anticipated Results and “Potential Contributions.” Presentations will be selected based on the merits of the methodological approach and potential contributions. Please note that actual results must be available before selected presentations are added to the final program. A poster Submission is a 4’ x 8’ poster for public display intended to summarize research. Poster Authors are required to attend their assigned session to present their work. A Round Table Presentation is an alternative to a Poster presentation intended to allow presenters to share and discuss their work with others who have conducted work on related topics. No formal presentations or audio visual support. A Symposia is a 60-minute presentation by 3-4 individuals who address a common theme or topic. A minimum of 15 minutes should be reserved for questions from the audience and dialogue among presenters. A general overview of the session should be submitted by the lead presenter. Additional individual presenters submit their abstract within that symposium. Workshops are 6o minute, small-group interactive sessions that focus on a specific intervention, assessment, research method or tool. IPPA’s Student Scholarship Program helps students who would otherwise not be able to attend the Fifth World Congress on Positive Psychology take advantage of this unique career and learning opportunity. These scholarships help offset registration and/or travel costs for students who have been accepted to present a poster or presentation. Recipients receive a complimentary student registration for the World Congress, and international applicants may be eligible for up to $500 in travel expense reimbursement. The exact number of scholarships awarded in 2017 will be determined by the number of qualified applicants and the amount of funds raised in support of the scholarship program. Students can indicate their desire to be considered for a scholarship when submitting a proposal for consideration. Proof of student status will be required at that time. Applicants will be notified by March 31, 2017 of their award status. If you have a questions, please email us at congress@ippanetwork.org. Click here to submit a proposal and apply for scholarship. IPPA is committed to nurturing the next generation of positive psychology scholars and practitioners. We anticipate many promising and motivated students will be accepted to present at the Fifth World Congress on Positive Psychology. Many of these students are struggling to afford the cost of attendance, even though we offer significantly subsidized registration to enable student participation. By making a tax-deductible donation to the Student Fund, you will make it possible for more students to take advantage of this unique career and learning opportunity. IPPA will offer a limited number of scholarships to help offset the cost of registration and travel for accepted presenters, in addition to offering subsidized registration feed to qualified students. The more donations we receive the more students we can help. Please consider making a difference in the lives and future careers of these talented young scholars. You will find an option to donate during the registration process, or you can simply click below to make a donation. Thank you for your generosity and support!